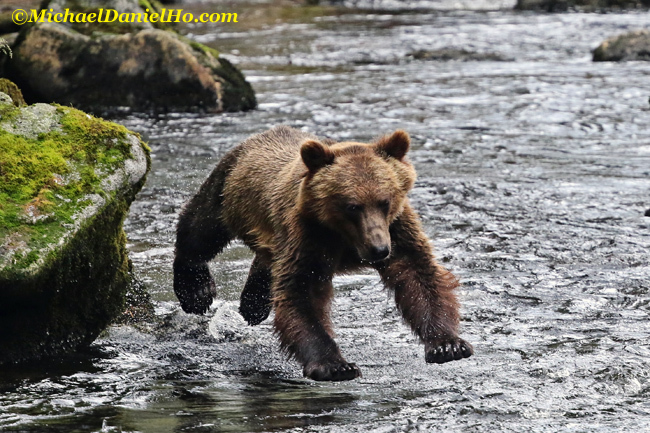 I am back from my Alaskan Wildlife Photo Tour. It was a good trip but not great. I had to make it shorter this year because my traveling companions have limited time. Now I have to get back to the daily routine, process the photos and catch up on my blog again. Just a few quick notes on the photography news front while I was away. The TSA has issued new guidelines for travelers passing through airport security with their camera equipment. Below is a good video review of the Canon EOS-6D Mark II camera. The results are rather predictable. Some good features accompanied by other mediocre performance. Frankly, that's to be expected from an entry level, full frame model that is a very good value in my opinion. In fact, the camera is selling so well to budding wedding, portrait and landscape photographers, Canon has announced a shortage of the EOS-6D Mark II camera kit with the EF 24-70mm f/4L IS lens until further notice. Even the EOS-1D X Mark II, which is my workhorse camera, is hardly perfect. I have received word the long expected high end Canon full frame mirrorless camera with EF mount should be announced by the end of 2018. Frankly, I think Canon should just get the camera out ASAP and move on to other projects. Mirrorless camera sales have picked up slightly for them recently but it is mostly the low end stuff and Canon does not need to announce another mirrorless camera but I'm afraid the public will be offered the EOS-M20 model soon anyway.